The VDO UDS Accident Data Recording system provides comprehensive scientific documentation of an accident event, eliminates contradictory claims and has been proven to reduce the costs of insurance, repairs and personal injury. To our detriment, this device is not well known in Australia and only a small amount of AU industry are benefiting from its installation. However it has been around in Europe for more than 20 years and is also widely used in the UK and USA. A proven device in reducing road trauma, insurance costs, vehicle repair costs and industry downtime. 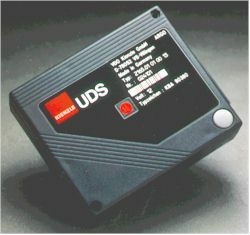 The UDS device records accident data and provides a precise and objective basis for investigating traffic accidents. It works in a similar way to the “black box” instrumentation found in commercial aircraft, electronically recording the vehicle’s motion. The UDS System documents the events before, during, and after an accident. The device registers the vehicles speed, records longitudinal and transversal acceleration, and changes in vehicle direction. It also records the status of the vehicle’s ignition, brakes, indicators, lights, and special functions such as the use of sirens and flashing lights on emergency vehicles. When the UDS is in operation, the data recording is continuous. In the event of an accident, the system automatically and permanently stores 45 seconds of data: 30 seconds before and 15 seconds after the accident. Since 1999, AIS have been accredited download technicians and analysts for interpreting and analysing crash data obtained from the VDO UDS Accident Data Recorder System. Please contact us if you would like to know more information on this subject. Also see our Crash Data Retrieval page.